My name is Randolph B. (Randy) Cohen. I teach finance and entrepreneurship at Harvard Business School, and I am a partner in ExSight Ventures, a small money management firm that invests solely in technologies and therapies related to vision and blindness. I created this site to share my experiences with vision loss. One of my hopes for the site is that I and others can share practical advice with folks who, like me, are living with low vision. I have received many valuable tips over the years from others with vision problems, and I’ve figured out a few things on my own, and I’d like to use this forum to share such ideas more widely. Many of the most helpful pieces of advice I have relate to products, high and low-tech both, that I use to be more efficient at getting around and getting things done. In addition to technology, I’ll share thoughts on other choices one can make to minimize the ways low vision affects your life. Plus I have a lot of stories about what it’s like living with this, some of which may help fellow sufferers feel less alone, some of which may give their friends and loved ones a sense of the experience, and some of which are just embarrassing enough to be pretty funny. And I’ll feel free to ramble on about other subjects if I choose! With luck I’ll also persuade friends and colleagues to pitch in with their thoughts and advice. “Low vision” covers people in a myriad of different situations, all I can do is talk about what works for me and add the occasional comment about tweaks that might be valuable for people whose vision is poor in ways different from mine. But I wanted to put this up because low vision is incredibly common but I haven’t seen that much written about managing it. Most people who address sight disorders are addressing the challenges of the totally or almost-totally blind, and of course those folks are the most in need of assistance, so that’s fine. But hopefully I can help some people in weird in-between situations like mine. Some of the ideas here will be helpful to people who suffer total blindness, but in many cases people in that situation will find other products and services more helpful. It may be useful for some users to know the perspective I am coming from. I suffer from Retinitis Pigmentosa, a degenerative condition of the retina that is closely related to the more common ailment known as macular degeneration. Many RP sufferers have 20-20 vision but with very narrow visual fields (“tunnel vision”). My situation is quite different. I have substantially reduced visual fields, but not really a “tunnel.” In addition I have extremely poor visual acuity and high light sensitivity. As a result I can see things better on a computer screen than in “real life,” but only if the computer is set to “inverted” colors, i.e. black background with white text, or some similar high-contrast scheme. Once again, the solutions I personally recommend will be of most help to those whose visual impairments are most similar to mine, though some may be helpful to a wide range of users. A note on nomenclature. I will use terms like “low vision,” “partially sighted,” “legally blind,” etc. as seems appropriate to what I’m writing about, and I’ll make little effort to distinguish between these terms. I will also use the self-mocking term “dangerous vision” to describe what I deal with, as seeing the way I do can be physically dangerous, to myself and to those around me, but also because of the positive sense of living dangerously — my eyesight makes life an adventure. And of course the name is an homage to Dangerous Visions, the seminal fiction collection edited by the great Harlan Ellison. Read more from Dangerous Vision. Randolph B. (Randy) Cohen is a Senior Lecturer in the Finance Unit at Harvard Business School. Cohen will teach FIN 1 and FIELD 3 at HBS this year; he will also be teaching Investment Management as a visitor at MIT Sloan School of Management. He has previously held positions as Associate Professor at HBS and Visiting Associate Professor at MIT Sloan. Cohen’s main research focus is the interface between the actions of institutional investors and price levels in the stock market. Cohen has studied the differential reactions of institutions and individuals to news about firms and the economy, as well as the effect of institutional trading on stock prices. He also has researched the identification of top investment managers and the prediction of manager performance, as well as studying the market for municipal securities. In addition to his academic work, Cohen has helped to start and grow a number of investment management firms, and has served as a consultant to many others. Cohen holds an AB in mathematics from Harvard College and a PhD in finance from the University of Chicago. FastCompany calls it “a peek at an inevitable future of accessibility,” a new app called BlindTool that allows users to identify objects in real time using only their phone, and it was created right here in Boston. 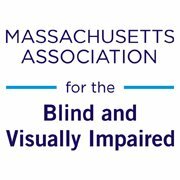 Developed by Joseph Paul Cohen, a current Ph.D. candidate at the University of Massachusetts Boston and a Bay State native, it aims to increase the independence of individuals who are blind or visually impaired by putting an extra set of eyes in their pocket. “I’ve had a desire to do this for a while,” says Cohen, whose initial interest in assistive technology came from working with a colleague who was blind during an internship at the U.S. Naval Research Laboratory in Washington D.C., inspiring him to think of the ways modern technology could improve the lives of those with vision impairment. 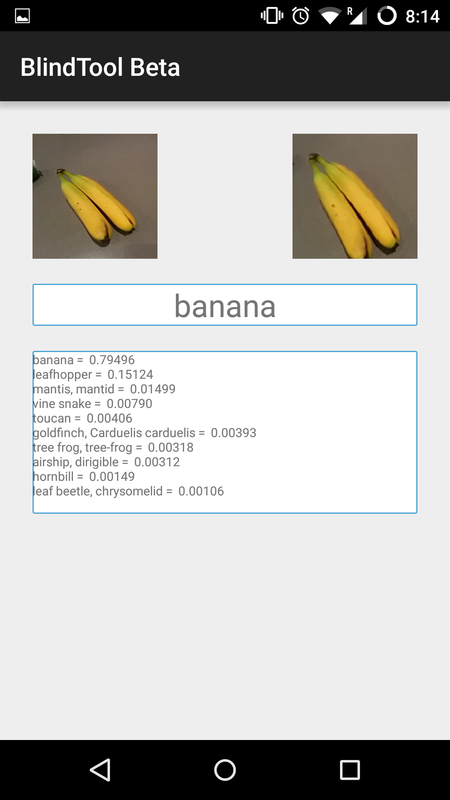 The app runs on Android devices, and identifies objects it is pointed at in real time using a “convolutional neural network” that can understand 1000 “classes” of objects. While the technology behind it may be complex, its usage is simple: wave your phone around, and the app will cause it to vibrate as it focuses on an object it recognizes – the more it vibrates, the more confident it is. Once it’s fairly certain, it will speak the object aloud. 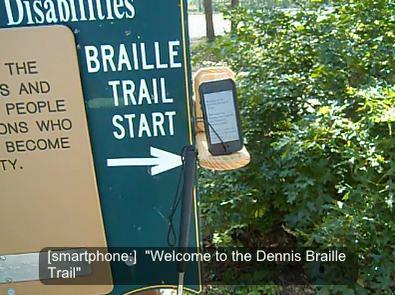 If you’ve been to a number of locations in Massachusetts, including the Dennis Braille Trail in Dennis, MA, you may have noticed something new: a device with a QR code that can be read by your smartphone. Called LaunchGuide, this new device was created to help people with visual impairment enjoy public places with content that not only helps them navigate, but adds to the experience, and it is yet another example of the creative ways assistive technology is becoming more prevalent. Designed by an assistive technology company called COMMplements (the brand name of products of Peacock Communications), LaunchGuide can be used by anyone with an Internet-connected device capable of reading a QR code. Each LaunchGuide location is equipped with a wire guide that helps the user position their smartphone so it can read the code. This takes them to a webpage with content unique to that location – for example, information about the exhibits in a museum or the stops along a trail, which the user can have read to them using text-to-speech as they explore. Ellie Leach had never used a computer. 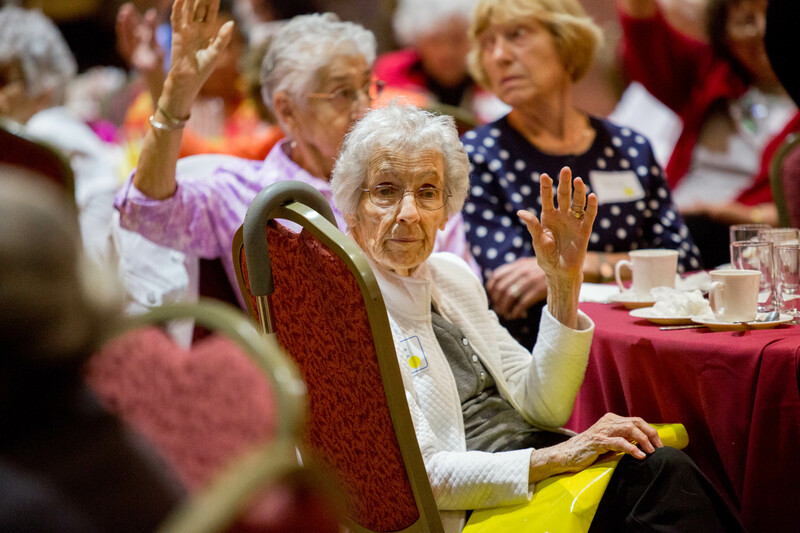 No email, no games, no web browsing – as she puts it, “I had never even used a typewriter!” Over twenty years ago Ellie, now 78, was diagnosed with macular degeneration, a medical condition that causes vision loss, putting yet another obstacle between herself and tech-savviness. Today, however, Ellie is the proud owner of an iPad, which she uses to email friends and family, play games, and listen to her favorite music. 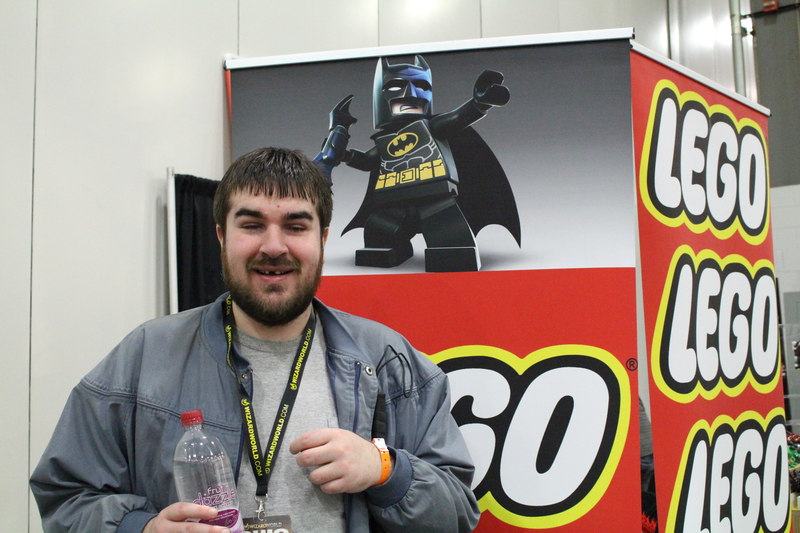 Yes, I am indeed totally blind, and no, playing video games is not an easy undertaking, but it is possible. When I was young, though, I dismissed video games as something that I simply couldn’t participate in. After all, the word “video” is in there, right? Well, one day my older brother played a trick on me. He handed me a Nintendo controller and invited me to play Super Mario Brothers. The game began, and before I knew it, I was slaying monsters, collecting coins and extra lives, conquering castles, saving the Princess… except I wasn’t. He had been the one really playing the game, and the controller he handed me wasn’t actually controlling anything. I was crushed. The trick had an unforeseen consequence, though: I got the itch. I vowed to try more games on my own, when he wasn’t around, and I vowed I would win on my own. Visually Impaired? There’s an App for that. Want to know how much money you’re holding? How about the color of your shirt? Or maybe you just want to curl up with a book? 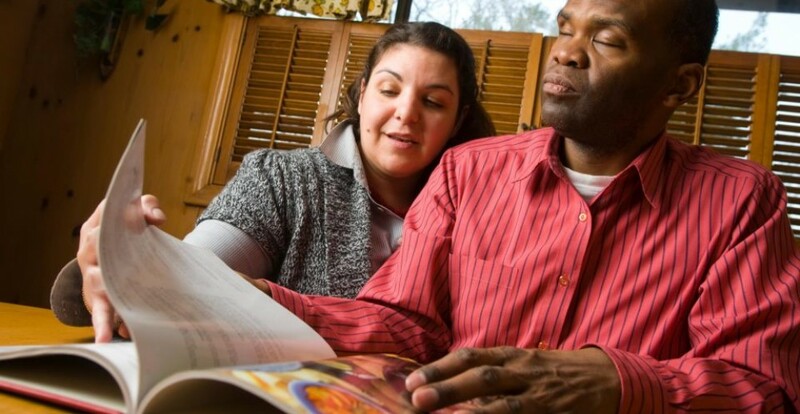 If you’re one of the over 20 million adults in America alone who suffer from vision loss, these everyday actions can be cumbersome and difficult. 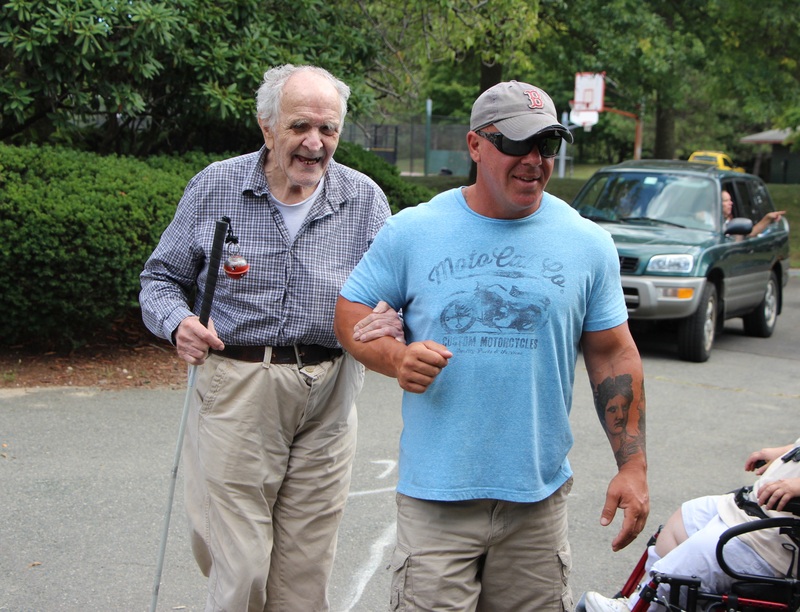 What can you do to help with these daily tasks while retaining your independence? Reach for your iPad, of course. The speaker is Jennifer Kaldenberg, MABVI Clinical Director & Clinical Assistant and Boston University Professor. 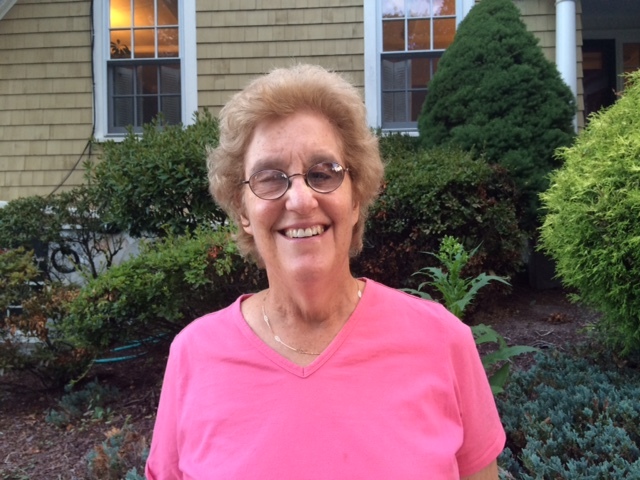 She has also worked for the New England College of Optometry and their clinical affiliate the New England Eye Institute, specializing in working with individuals with visual impairment. 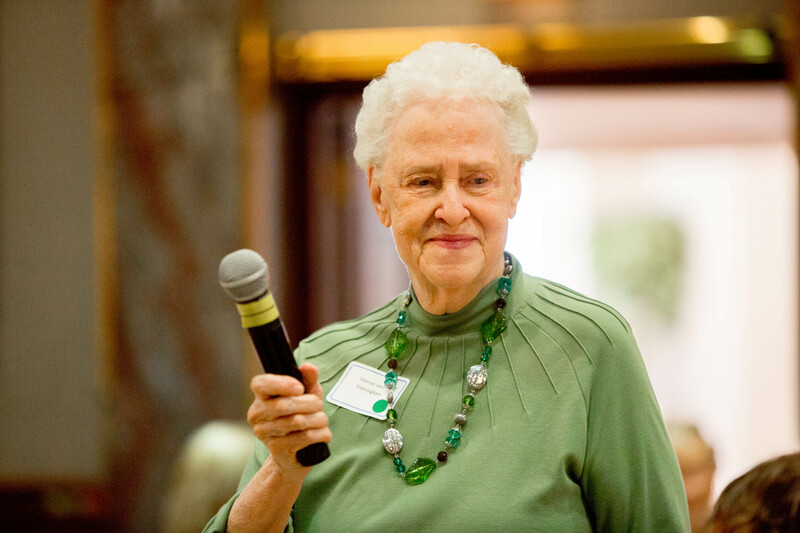 She is an expert in vision loss, facing a room of hundreds of low vision support group members, many of them seniors. Only about 25% of the adults in the room raise their hands. “If I told you using a magnifier, or even a bump dot to identify the start button on the microwave is technology, how many of you would now answer that they use technology on a daily basis?” She asks. All of the adults in the room raise their hands. 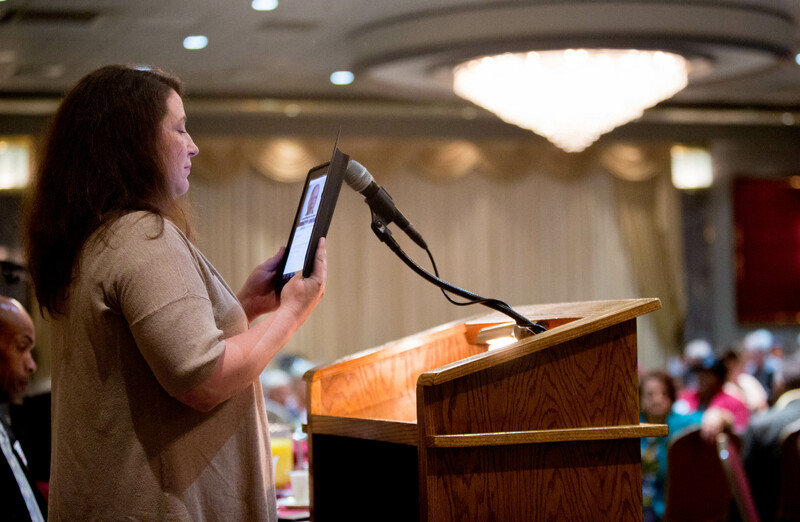 It seems these adults with vision loss use technology every day without even realizing it. Furthermore, it seems many have not been shown or assessed for what technology is appropriate for them. The key is training, according to Kaldenberg: individuals can be trained to use new tools to help maintain participation in the things that are important to them and improve their daily lives. Equally important is an eye examination by a low vision specialist. Yet only 75% of the audience self-reports having ever had a low vision exam. For individuals who have not had a low vision exam or know someone hasn’t, there are many barriers that may limit someone’s ability to access services including: o Lack of awareness of services or assistive devices o Giving up hope that there is help o Having heard “nothing can be done” o Other health issues like cognitive deficits o Lack of financial resources to afford or think they can’t afford technologies Additional barriers may include age, gender and ethnicity. Some of these barriers are the perception of the individual and others are placed on them by a healthcare practitioner, family members, or society. Of the 75% who have received a low vision exam, only 1/10 say their doctor has asked them what they want to be able to do. So how are visually impaired adults supposed to find the technology they need to remain independent? “Be proactive and ask your doctors about technology,” Kaldenberg says. A question that has crossed all of our minds at some time or another. When someone gives you advice without ever having been in your shoes, it’s not always helpful. Often it’s more comforting to turn to someone in the same position as you, someone who can give guidance and understanding from personal experience. 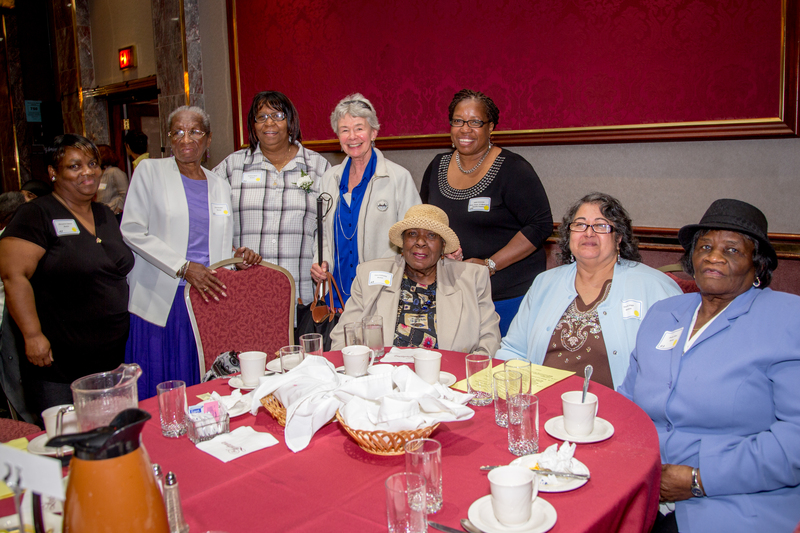 For those struggling with vision loss, support groups provide a place to share personal fears, coping mechanisms and resources as their vision changes over time.